In Nashville, leaving the area where an accident happened is always illegal. The Tennessee Code Annotated sec. 55-10-101 states that any driver involved in any type of accident is required to show their name and address as well as their driver’s license when asked by a police officer at the scene. Also the law requires the driver to get everyone involved in the accident (who may be severely injured), to any nearby hospital or make arrangements to have everyone get first aid and medical assistance. Failing to do any of these things is a felony under the Tennessee law. These are just basic laws that every driver must need to follow to keep everyone safe including himself. There could be many reasons why a driver leaves the scene after the accident. One could be that the driver is under the influence of illegal substances or drugs and so he or she may think of just hiding so they can escape possible legal repercussions, or simply because they don’t know what to do at that time. Other reasons could include that the driver has no insurance, or he or she is afraid of any financial obligations required of him because he doesn’t have the money to be able to pay for damages. Either way, the police will investigate and will try to locate the hit and run driver so they can face the possible legal consequences waiting for them and that justice will be served. Getting compensation from the accident could be a challenge especially since the hit and run driver is already nowhere to be found, but everyone must know their rights involving car accidents. This is especially true if it incurs high medical bills, brings on debilitating physical impairment, lost wages, pain and suffering. The victim could be entitled to damages from the hit and run accident. However, a hit and run accident must be proven and backed up with evidence that there was really negligence on the part of the hit and run driver that caused the accident, in order to be able to claim damages and compensation for the injury. Getting involved in a hit and run accident could be very stressful. Especially when you do not know what to do after the accident. Also, not only will the hit and run accident tire you emotionally and physically, but it can also be very burdensome financially. Thus, an expert Nashville lawyer could be a great help. They will guide you in whatever steps you need to take after the accident. 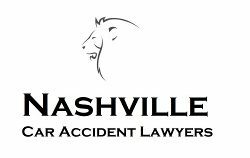 The Nashville hit and run accident lawyer will assist you in filing for insurance claims or file a lawsuit to get the right compensation you deserve. Whenever you find yourself or any family member involved in a hit and run accident, call an expert Nashville hit and run accident lawyer right away and discuss the necessary options you may have.